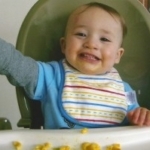 On March 6, 2013 14 month old Daxton Borchardt was mauled by his babysitter’s two pit bulls. He tragically passed away due to extensive injuries from the attack. We encourage all our family, friends, and supporters across the world to join us on March 6 to celebrate his life. How: Select a location in your neighborhood, please get permission if needed, to hand out red balloons to children. Each red balloon will have a Daxton’s Friends tag on it. THIS IS NOT A BALLOON RELEASE. 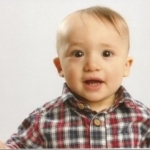 Daxton loved balloons and our goal is to make children happy in honor of him. The time selected is the time of the attack that ended his short life. We are taking a sad moment in time and making it joyous. We would greatly appreciate if participants purchased their own balloons and printed out the tags. We understand that may not work for everyone. 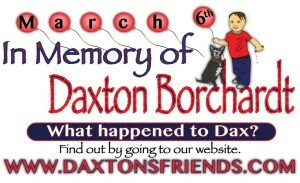 If you need help with balloons and tags, please contact us at DaxtonsFriends@gmail.com. THIS IS NOT AN EDUCATIONAL EVENT. You are welcome to answer parental questions, but please keep in mind that children are present and can be easily scared. 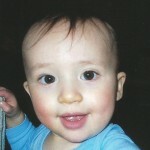 The purpose of the tag is so parents can educate themselves by coming to this website. This event is solely to make children happy. If you have questions or need help setting up the event in your area, please contact us at DaxtonsFriends@gmail.com or send us a PM to our Facebook page. March 6, 2014 – Daxton’s Friends Launch Party! Daxton’s Friends would like to thank everyone that attended the launch party and that has donated and volunteered to make it such a successful event! 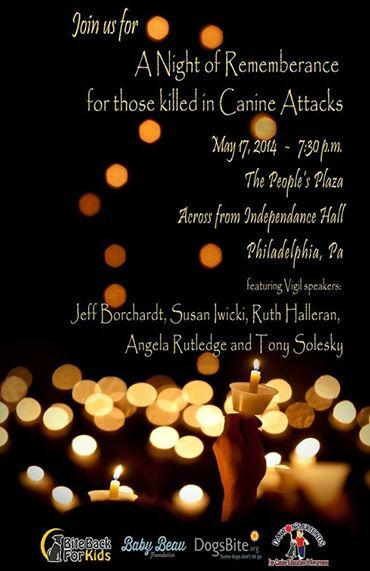 Daxton’s Friends for Canine Education & Awareness will be attending “A Day For Victims and Their Families,” in Philadelphia, PA. Our very own, Jeff Borchardt, Susan Iwicki, Ruth Halleran and Tony Solesky, are featured speakers. 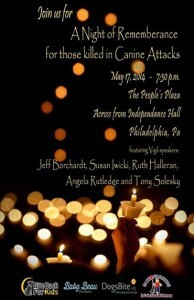 Come join us in support of victims and their families.